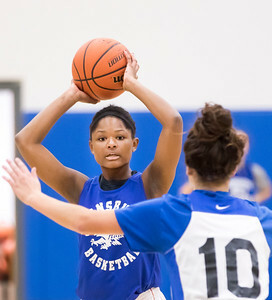 Sarah Nader- snader@shawmedia.com Johnsburg's Kayla Stefka shoots a basket during basketball practice at Johnsburg High School Wednesday, Nov. 9, 2016. 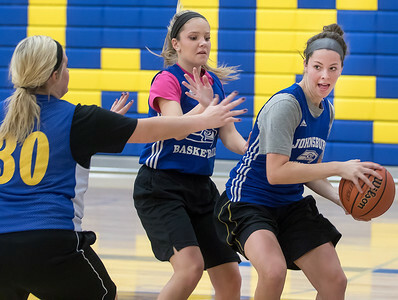 Sarah Nader- snader@shawmedia.com Johnsburg's Aannah Interrante (right) dribbles the ball during basketball practice at Johnsburg High School Wednesday, Nov. 9, 2016. 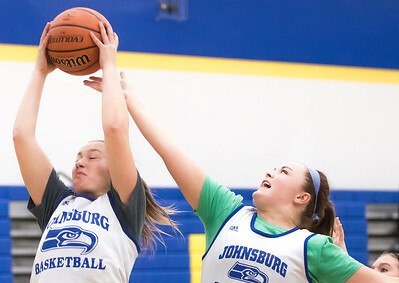 Sarah Nader- snader@shawmedia.com Johnsburg's Megan Madsen (left) has for shot blocked by Korbi Fritz during basketball practice at Johnsburg High School Wednesday, Nov. 9, 2016. 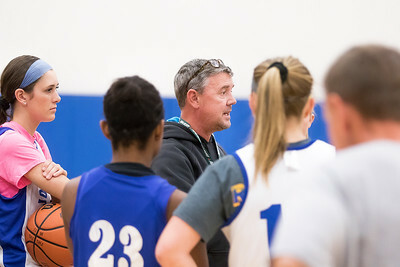 Sarah Nader- snader@shawmedia.com Johnsburg's girls basketball coach Brad Frey talks with the team during basketball practice at Johnsburg High School Wednesday, Nov. 9, 2016. Sarah Nader- snader@shawmedia.com Johnsburg's Dani McCauley passes the ball during basketball practice at Johnsburg High School Wednesday, Nov. 9, 2016. Johnsburg's Aannah Interrante (right) dribbles the ball during basketball practice at Johnsburg High School Wednesday, Nov. 9, 2016.